What do you do with leftover refried beans? Make chili of course. One of the things I have done for many years is menu plan. Nothing, and I mean nothing goes to waste around this house! 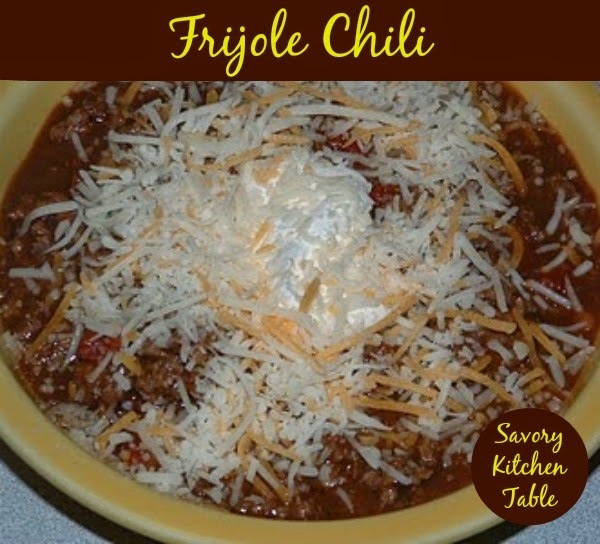 I made this recipe a few years ago to use up some leftovers and it quickly became our favorite alternative chili. Brown ground beef and onion. Drain fat. In a large sauce pan, combine remaining ingredients and bring to a simmer. Add ground beef and onions. Heat through. Top with a dollop of sour cream and shredded cheese.